Salesforce user adoption is critical to the success of any company that counts on their CRM system to generate leads, close deals, and more efficiently operate their business. Providing your users Salesforce training is critical to ensure a high degree of user adoption as people tend to ignore what they do not know how to use and embrace what they feel comfortable using. Here are a few tips that will help you create a successful Salesforce training plan to increase your Salesforce user adoption. Don’t make users figure out how hypothetical data applies to them. One way to get people excited is to let them see their data in the application, to show firsthand what Salesforce CRM can do for them. Be sure you clean your data (duplicate data will confuse people) and develop day-in-the-life scenarios your users will recognize as theirs. Create cheat sheets with Salesforce CRM terminology, simple overviews of your processes, and step-by-step summaries of your most important processes. These job aids will serve as handy, easy-to-use references. Be sure to ask people for their opinions. To get off to a good start, it’s important to clear up any confusion and to find out what’s on your users’ minds. Make it a priority to incorporate user feedback into the training. Some people think you train users once and you’re done. But successful training isn’t a one-shot effort. Be sure to follow up after a few weeks because by then, your users will have a new set of questions. A great way to provide follow-up training is to recruit enthusiastic users to follow up with their peers and use what they find out to create highly targeted mini-training for various user groups. 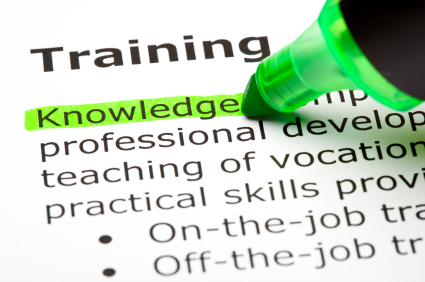 Providing great training isn’t difficult, but it does require planning, effort, and an ongoing commitment. Use these tips to help you create and execute a training plan that works! StarrForce now offers a Salesforce Training Service for administrators and end-users alike. If you’d like more information, Click Here to go to the StarrForce website and fill out the form.